The Bay Windows offer both dramatic architecture and intimacy within the larger Gandel Atrium space. 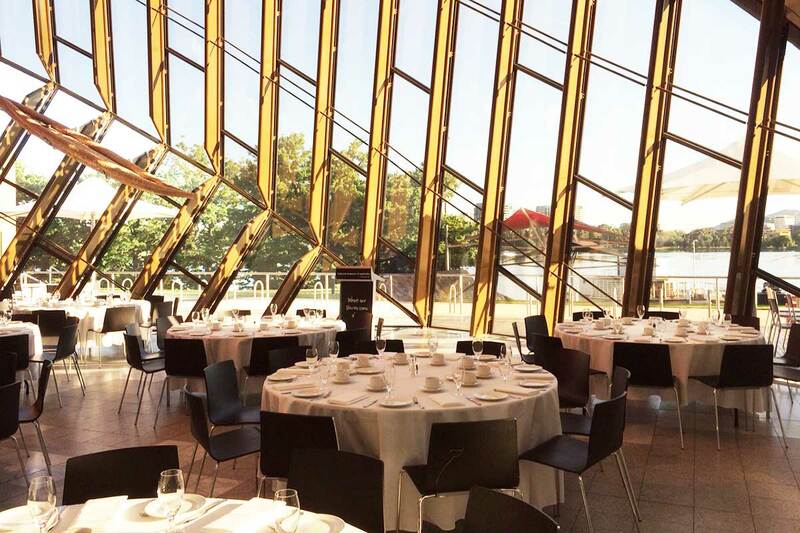 Expansive curved windows and high ceilings provide a stunning backdrop as guests look over Lake Burley Griffin towards the city. Access to the Lakeside Deck, with grassed gardens leading to the water’s edge, can be arranged on request.